Himachali Doctor finds a perfect cure for Rabies. Gets a Green Signal from W.H.O. Founder of Low Cost Anti Rabies Treatment. 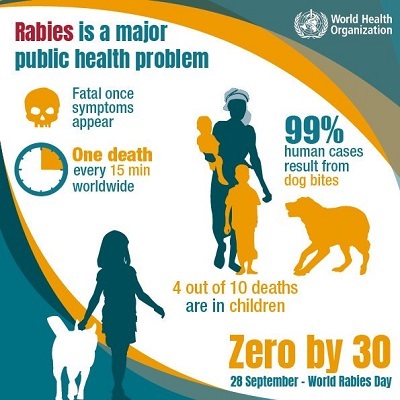 Rabies causes thousands of deaths every year in over 100 countries worldwide. Mostly it’s the underprivileged and underserved communities that suffer from it – because of the sheer cost of treating it. This severely bothered a government doctor in Himachal Pradesh whose passion for the work he did went to great extents. He is the proud developer of a low-cost method of treatment for rabies which is nothing short of revolutionary. In the sense that his method has reduced the cost in a grand scale – from INR 35,000, now one just needed Rs. 350 to get treated. Coming from a humble family who served as teachers for the government, Dr. Omesh Bharti has lead a life of discipline. He has grown up in the wilderness of the Himalayas and has lived a decent life. 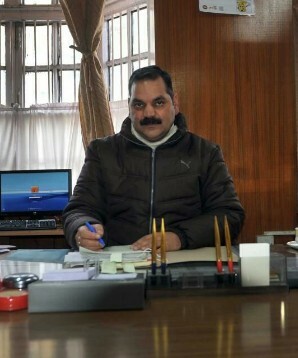 When he finished his MBBS from a college in Shimla in 1992, he knew he wanted to get into social service. He joined an NGO in order to spread some knowledge among the masses. Instead, he came face to face with the ugly reality of rabies. In India especially, many die an inevitable death caused due to dog or monkey bites. Many hospitals aren’t equipped with necessary sources to treat such cases and even if they are, the payment is way out of the league of the poorer classes. In places like Himachal, it wasn’t just the payment that was the problem. In order to reach a functioning hospital with reputed doctors, one had to travel far away distances, distances that go on for 200 odd kilometers. This wasn’t acceptable. It wasn’t logical and fair. Around 1995, at the same time, Omesh joined another NGO that worked to provide medicines at cheap rates to those sections of the society that needed it the most and were depraved of it. During this time, the man undertook a research of his own to figure out cheaper and quicker alternatives to treat rabies. 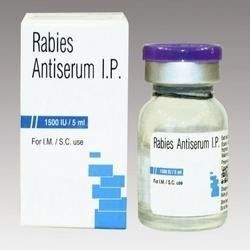 For rabies, there are two methods of treatment. One by way of vaccination of by way of injecting serum soon after experiencing the bite. Vaccination done via skin (intradermal) turns out much cheaper than vaccination done via muscles. Many die after being bit by a rabid animal because of the unavailability of the serum soon after. Vaccination works only after a week has passed since the bite. In many cases, people who get bitten get infected so the vaccine hardly helps. 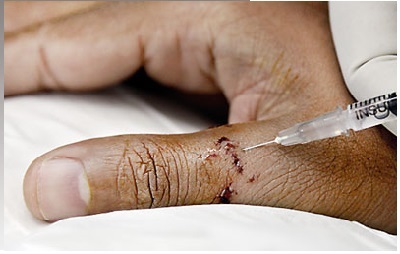 Intradermal techniques had been issued by the Government of India and WHO previously, but the implementation bit of it was left to itself. Bharti was driven by a strong desire to implement this and was even subjected to ridicule when he pitched the same by other doctors. Omesh self-funded his research and discovered that a vial of serum alone could treat 20 odd patients and it will be sufficient to save the life of a person by directly injecting a small amount of serum on the affected area. He communicated his findings to authorities in the health department and urged them to undertake the serum method for treating rabies. WHO recognized the doctor’s efforts and appreciated the man’s medical addition as a significant step towards ensuring proper treatment for the poor. They took notice of his work and adopted his method as the cheap and effective way of treating rabies. Thanks to Bharti, there now is an initiative in order that could actually help a lot of unfortunate souls. He is a true doctor and his desire to help those in need gained him recognition as one of the finest medical practitioner in the country!